Meet Rebecca Willcox, Wodonga Senior Secondary College graduate of 2015. Rebecca attended the College from Years 10 to 12, whilst at the College Rebecca displayed a strong work ethic, essential attributes for a role model in our society. Since graduating from the College in 2015 Rebecca has begun study at Charles Sturt University, Bathurst campus in the field of Civil Engineering. This has seen her draw upon the skills of time management, organisation and communication in a team environment, which she developed during her time at the College. Rebecca began her time at the College in the Academic Advancement Program, this gave her the ability to learn independently at her own rate, giving her essential attributes that set her apart from her peers at university. This program allowed her to study a level of mathematics that opened up many opportunities when it came to university entry. Throughout Rebecca’s time at the College she enjoyed participating in the Student Leadership Council, representing the College at various events within the College and wider community. 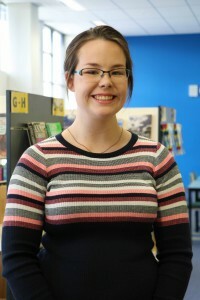 Once Rebecca completes her degree at Charles Sturt University she aspires to work in the project management field for large-scale construction projects or land development. Are you a graduate of Wodonga Senior College? Click here to register as a College Alumni; Or contact the College to find out where Wodonga Senior Secondary College can take you.